Friday links! It's only fair edition - Combat! Did the US kill bin Laden while he was in Pakistani custody? 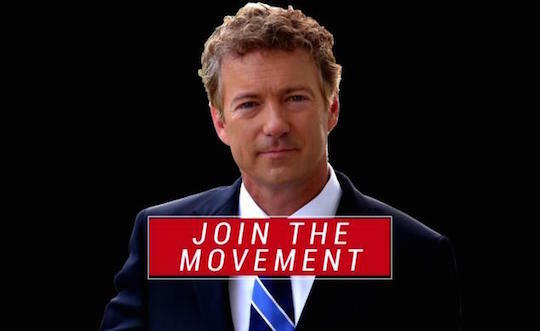 Senator Rand Paul (R–KY) invites you to watch him take a dump. After children have lost their other innate abilities—when they can no longer recognize facial expressions or manipulate objects, but instead swipe feebly at whatever images they hope to change—they will still have a keen sense of what’s fair. Fair is I get what you get. If you are, for example, one of a numerical minority of Americans whose parents were legally kept as slaves five generations ago, and you are twice as likely to be born into poverty and roughly one fifth as likely to successfully hail a cab, it’s unfair that I don’t get to say the n-word. I thought racism was supposed to be over, but here we are giving people special privileges. Today is Friday, which is totally unfair to Thursday, when you think about it. Won’t you forget where we came from with me? By “pay a lower rate along with everyone else,” he means pay the same rate as everyone else, which will be lower for them and higher for poor people. There’s what’s fair and there’s what’s fair, and never the twain shall meet. Fair is fair: you’re using as much land as 20 families of four, so you should also get to use as much water. That’s somehow a valid argument when we’re talking about distribution of resources, but it doesn’t hold up when we’re talking about race. We all agree that because Rachel Dolezal didn’t inherit the centuries of institutionalized repression that come with African-America identity, she doesn’t get to call herself black. But as Jelani Cobb points out at the New Yorker, President Obama doesn’t have a “preponderance of African ancestry,” either. Neither did the second black president of the NAACP, Walter White. Dolezal lied about a lie, Cobb says, and as we lambast her we should not pretend that race is a coherent idea. Okay—even if that were true, the n-word is still pretty explicitly about race. The best part of the Chet Haze story is that everyone who reports on it puts “rapper” in scare quotes, except for the aforementioned Cobb, who calls him “putative rapper Chet Haze.” Twitter, on the other hand, has taken to describing his behavior as the apex of white privilege. That’s dumb. I’m pretty sure he derives his privilege from being the son of a multi-millionaire Hollywood superstar. But who cares where privilege comes from? The important thing is that I don’t have it. Fair is when I get to do everything that you get to do. It’s also fair to let everybody pass whatever wealth and fame he can accumulate on to his kids. But if another kid gets more than I got? Totally unfair. Fair is a cudgel for people who have to beat people who need. Unless you’re one of those people who need—then fair is the reason you should get what other people have. Fair is whatever you need it to be. What to do with the stars and bars? 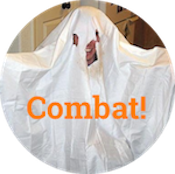 Pingback: Ben Carson’s rap ad makes the wrong kind of sense | Combat!